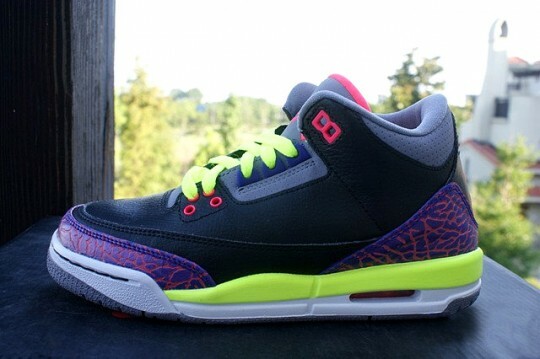 Another grade-school exclusive is introduced by the Jordan Brand in the form of this never before seen eyecatching Air Jordan 3 Retro. 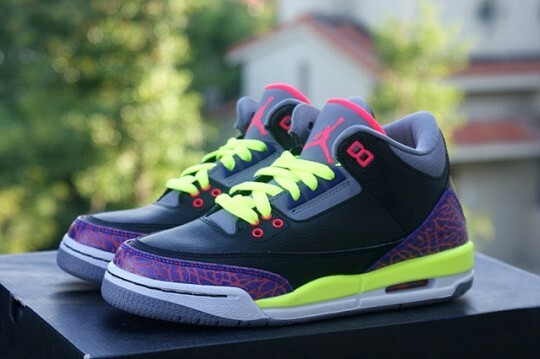 The new look by the Air Jordan III takes over the classic silhouette in premium materials, constructed entirely in premium leather and topped with elephant print overlays in leather as well. 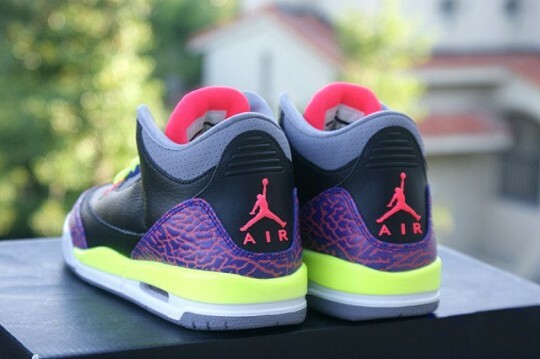 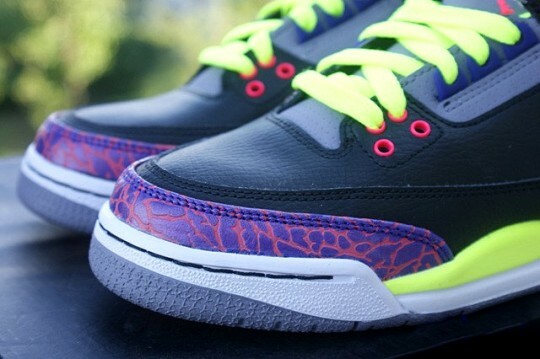 Black leads the look on this new style AJ III for the youngins, while purple takes care of the elephant print overlays. 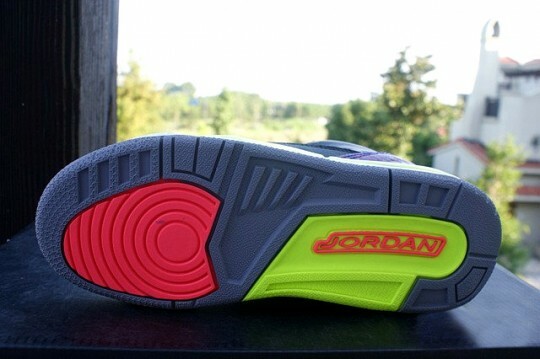 Hot pink handles the tongue lining and Jumpman logos, while volt finishes them off over the laces and midsole below.